I currently work at a school in South Florida, and I am noticing a pattern of complacency when it comes to the Swine flu virus and it's possibilities for transmission. We all know that the Swine flu is spreading like wildfire, but people are still obviously in denial. I have seen teachers leaving the restroom without washing their hands numerous times, even since the news of this outbreak. People are laughing and joking about the virus, seemingly unworried about the possibility of contagion amongst their particular population. There is an individual in our school who is complaining of body aches, fever and fatigue. They have not had testing for Swine flu because they just assume it is not. This is a problem. It is common among people to have the "It won't happen to me mentality," however, it is happening to many people who felt exactly like this. People, listen up. It can happen to you. We are on the verge of a pandemic. Do not help this virus by going to work when you are sick and spreading the illness to your friends and co-workers. If you work in a school you could be contributing to the illness, or even deaths, of children. Just stay home. Get tested for the Swine flu if you have reason to believe you might have contracted this virus. You could save lives. Don't wait!! The Swine flu epidemic is growing, and the World Health Organization has raised the level of preparedness to Stage 5. The U.S. Government says that they have been preparing all along by dispersing antiviral medications to most states. There is enough at this point to treat about one quarter of the population. 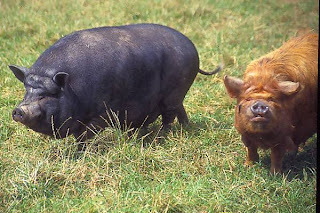 They have not declared the Swine Flu a worldwide pandemic, although it appears to be going in that direction. At least 100 people in the United States have now been diagnosed with the Swine flu. In Mexico at least 160 have died and 2500 or more have been hospitalized. Mexico has virtually shut down, with businesses closed all around the country to prevent the spread of the flu virus. 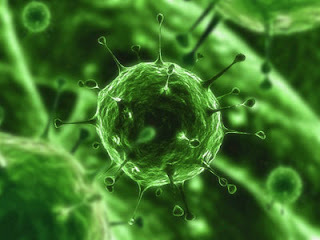 Swine flu is a mosaic virus, which means it combines several viruses including bird flu, human influenza and swine flu. Since we have moved into a level 5 in the fight against the flu pandemic, it really means that we have moved from preparedness into action. Here are some things you need to do to be prepared. Do not panic, but do be aware. Be sure you are on top of the news at all times. Level 5 does not mean the severity of the flu has increased, it only means that the flu has become more widespread. The threat level has now been raised to a 5 which is just one step from being at pandemic proportions. This means that countries should be diligently preparing themselves for a widespread pandemic. CNN Health News states, "Germany and Austria became the latest European countries to report swine flu on Wednesday, while the number of cases increased in the United Kingdom and Spain. 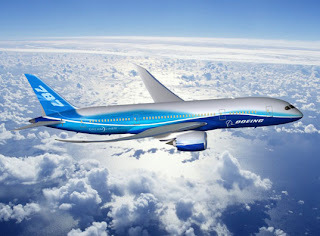 Peru reported its first case late Wednesday." They also say that the world is more prepared now than anytime in history. 11 states and 4 continents have now reported cases of Swine Flu. Level 5 means pandemic is imminent. At least 74 junior high and high schools have closed in the United States due to confirmed or suspected cases of Swine flu infection. Swine flu symptoms include fever, vomiting, diarrhea, cough and other flu like symptoms. Call your doctor if you are suffering flu symptoms in order to deterimine the best course of action you should take. It is expected by officials at the Centers for the Disease Control that there will be more Swine flu deaths in the United States. The first known case was a five year old child, however, the majority of cases since have been people who are in their prime (25-44 years old). Call your doctor if your child is experiencing any of the symptoms listed above. Visit CNN Health.com for more information. A state of emergency has been declared in California because of the Swine flu, and hundreds of children in New York City are infected with what is believed to be the Swine flu. Not everyone is being tested because labs would be overwhelmed. Schools have been closed to perform cleanup before children can return. The majority of the infected are teenagers. The flu symptoms still continue to be mild. For those who get really ill it is caused by an overreaction of the immune system which leads to the body attacking itself.Tamiflu is being given to those who really need it, but regular medications are encouraged so a resistance of Tamiflu is not promoted. 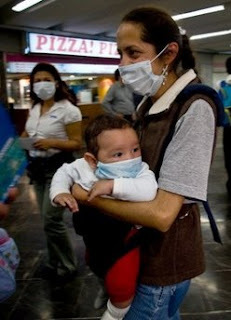 The Swine flu appears to be very mild for most Americans, but the Mexican people have been devastated by this virus. 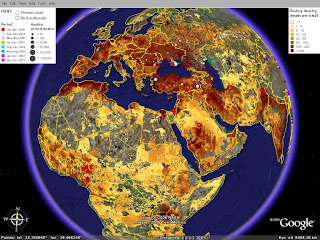 The Death Toll Rises-Will the Swine Flu Disappear? 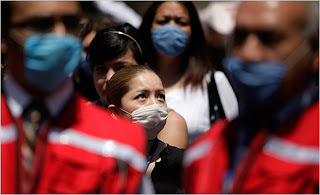 The death toll in Mexico has reached 159, with approximately 2500 hospitalized with the Swine Flu. The flu is taking a huge toll in Mexico, but does not seem to be having the same affect in the United States. In the Summer of 1918 when Swine flu reared its ugly head, it disappeared during the summer months. In the summer people are outside more often and tend to be in less enclosed and confined spaces, so the flu is less likely to flourish. However, in 1918, during the Fall, the Swine flu came back with a vengeance and killed 20 million people. Although vaccinations might work against one aspect of this strain of flu, the likelihood that it will work for all strains is unlikely. the flu is a mosaic, or combination of at least 4 different strains, which makes it difficult to treat. 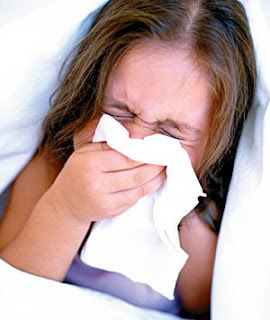 This flu is transmitted through respiration, and it is possible it could run rampant in schools and college campuses. The virus can live on surfaces for up to 48 hours, but usually only lasts seconds, so it is likely to be spread through sneezing and coughing. Be ever diligent, because this flu may go underground for a few months, and then come back with a mission. It is not the time to panic, but it is time to remain alert and aware. It seems that the Swine Flu does more damage to people in their prime than those who are generally most affected by the flu virus. Rather than becoming most severe in the very old and the very young, the Swine flu is doing the most damage to those people who fall somewhere right in the midddle with the age range of those who have died or become seriously ill between 25 and 44 on average. Why is this happening? This is actually a very rare event that has not been studied in depth. It is called a “cytokine storm” and was suspected as a cause for the flu of 1918 that killed 20 million and might even be attributed to the H5N1 virus. So what is a cytokine storm? Basically, a persons immune system overreacts to whatever virus has attempted to penetrate its defenses. This can cause organs to fail in a chain reaction. The lack of studies make it difficult for scientists to really understand the factors that lead to the body's reaction, however, the results are very evident. The body begins to attack itself, including healthy tissue. It is similar to what happens when an individual suffers an allergic reaction. Unfortunately, this reaction is deadly, and to date, no-one is sure how to stop it from occurring. With Swine Flu cases on the rise, it is inevitable that our children will be affected by the news. Hundreds on New York City school children have recently become ill, although as of this posting they have not been confirmed as having swine flu. The assumption is that students have contracted the virus. It is helpful if you can talk to your child about the Swine Flu before someone else does. Here is a great article to read that will help you have this important discussion with your child. One of the reasons that the flu spreads more quickly than a disease like SARS, and the level has been raised from a level 3 (containment) to a level 4 (mitigation) is because the flu virus is often contagious before the carrier shows any symptoms. Because of this it is virtually impossible to use containment measure in battling the flu virus. The best bet is to assume that anyone and everyone could have the flu, and use proactive measures such as limiting proximity, using hand washing and basic sanitation procedures, and not touching your face. This will help limit the spread of the virus proactively. The Department of Homeland Security keeps a journal that they update regularly. 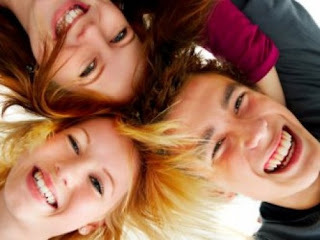 This site will give you reliable information pertaining to the Swine Flu. Go to DHS Journal (Homeland Security) for more information. 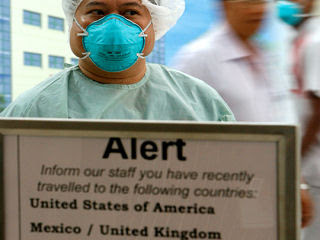 Currently Canada, Spain, New England, New Zealand, United States and Israel have confirmed cases of Swine Flu worldwide. 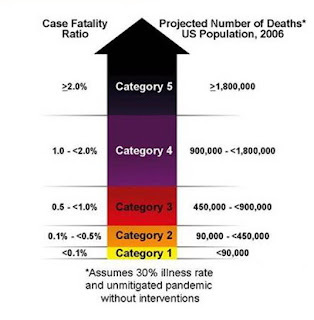 We are currently at a level 4 on the pandemic preparedness scale. This indicates that the Swine flu can no longer be contained. Are We Prepared for a Pandemic? The Department of Health and Human Services along with individual state employees have been preparing since the 1970's for another outbreak of a serious flu epidemic. The question is, have we prepared enough? So far, people in the United States have been suffering mild cases of the flu, however, this may not always be the case. The virus is constantly changing and mutating and becoming stronger and more resistant. Because the virus is a combination of many strains, it is much more difficult to fight. We do not currently have enough antiviral medication to accommodate a large outbreak of the virus. In addition, necessary public health officials are not currently in place in the current administration that will be able to handle a Swine flu pandemic should it occur. This virus has been circulating through Mexico for at least 2 months, and has just now begun to cause serious mortality rates. Is the United States next and are we prepared? At least 90 cases have not been confirmed for the Swine flu virus. 150 people have died, and cases are rising. The Swine flu is a combination of the Avian flu, human influenza, and the Swine flu. There is no vaccine because it is difficult to fight a combination flu virus, and so far very few people have had the virus and have developed an immunity. 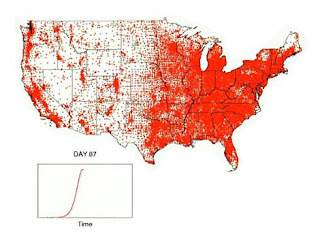 If the Swine flu spreads according to computer models, the Swine flu could spread throughout the United States in as little as a few months. When Tamiflu is used, the computer model shows infections are drastically decreased. It seems that a combined effort including proactive measures such as good sanitation habits, taking tamiflu, and isolating infected individuals is the most effective approach to stopping the spread of the Swine Flu virus. The economy has taken a hit from the Swine flu. The economic crisis is getting worse because of the development of this virus that has caused fear and uncertainty among United Stated consumers. The financial stability of the country has been weakened because consumers are afraid to spend their money fearing the may need it to fight a pandemic. People are holding off on new purchases, and essentially playing the waiting game, which is wreaking havoc on the economy. According to Charles Herman at ABC News, "The Congressional Budget Office estimated that a severe flu pandemic could infect 90 million people, result in the death of more than 2 million and would cause a 4.25 percent drop in the nation's gross domestic product. A milder pandemic, similar to those in 1957 and 1968, could lead to 75 million people becoming sick, 100,000 deaths and a drop of 1 percent in the nation's GDP. The CBO economic estimate is conservative compared with those of other economists who forecast the nation's GDP could decline by as much as 6 percent. The International Monetary Fund warned that the fallout from a pandemic could expose some "financially vulnerable enterprises to the risk of bankruptcy." Swine Flu hits Texas family hard. The Henshaw family became infected with Swine flu when their son Hayden was tested at the doctors office for the virus. Hayden, his sister Hannah, mother Robin and father Patrick say "We went through it like a normal flu." They were shown on CNN wearing surgical face masks and talking about the incident. Each of the members took Tamiflu and are still isolated in their home until they receive an all clear from doctors. The government has stockpiled Tamiflu and Relenza and is sending it out to the states to use for any instances of the Swine flu virus that might occur in their individual states. 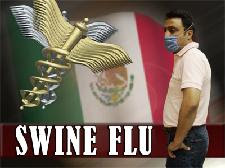 Although there have been instances of the Swine flu virus in the United States, it has not caused the death toll that it has wrought upon Mexico. It is thought that one of the reasons the viral outbreak was so devastating in Mexico is because it has been germinating in that country for at least two months. It has now crossed over into the United States, and many experts feel that it is in its viral infancy and has yet to reach its peak in the states. The hope is that it does not become as virulent as the strain that has caused at least 150 deaths and thousands of illnesses in Mexico. Swine flu had an outbreak in 1918 and about 20 million people died. Public health authorities still remembered the 1918 tragedy, which is why they acted so quickly in 1976. 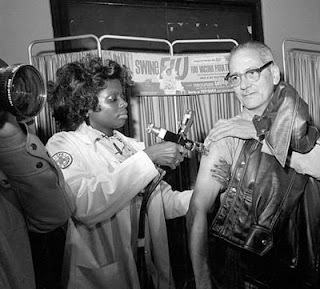 Unfortunately this resulted in disastrous consequences because the vaccine had not had time to be sufficiently tested.In 1976 some soldiers contracted the swine flu virus, and the government began a program for vaccinations that required everyone in the country to be vaccinated. Even President Gerald Ford received a vaccination. Unfortunately,some neurological problems developed due to the vaccines and that caused a devastating and fatal illness. With the realization that the vaccinations may be more harmful than the virus itself, the program was stopped. The United States and World Health Organization is now working less aggressively than the 1976 fiasco, and instead asking the public to defer travel that is non-essential and take precautionary measures. 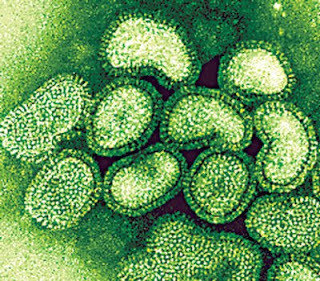 Currently efforts are being made to grow a new vaccine for this flu, but the current vaccines that we have now will not protect against the mosaic virus that makes up Swine flu. Travel advisories have been released indefinitely for people who had planned to go to Mexico. The United States is telling people that if they had plans to go to Mexico that they should change them until further notice. The threat is just too great for Americans to be traveling to the country at this point. Agents at the border are watching for signs of the flu. They have a quarantine area at the border, although so far no-one has been found to be suffering from the virus while crossing the border. 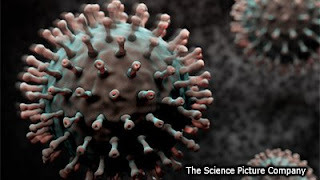 This Swine Flu virus originally started as the Avian flu. It passed from birds to pigs, possibly through droppings. Pigs probably passed the virus to humans through respiration. The virus then made the leap into human to human transmission. This is generally the way pandemics begin. 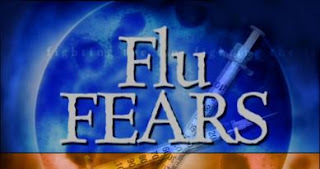 People should be worried about this flu because the virus is new according to Dr. Sanjay Gupta. Because there is no previous vaccination history or immunity to the virus, the mortality will be much higher. The mortality rate with the Swine flu has been about 6-10 percent, whereas with the Avian flu the mortality rate was 50% to 60%. This virus might have not gone anywhere years ago. 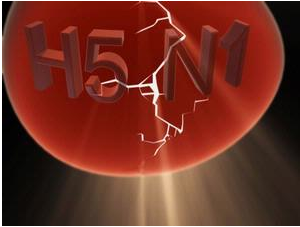 The bird flu H5N1, Ebola, AIDS and Avian flu all began with animals. It is because of the interconnectedness of our societies that these viruses now spread so quickly. They once would have been confined to small villages, but now have access to large populations of humans due to our close proximity to each other. Even though the medications Tamiflu and Relenza seem to be working against the virus, if a large enough outbreak occurs among the population there may not be enough to go around. Most cases in the United States have been mild, and officials are hoping it will stay that way. There are new cases of Swine Flu in New Jersey, North Carolina and South Carolina. At least 28 confirmed cases of Swine Flu in New York with another 1620 possible cases. At least 149 people are suspected to have been killed by the Swine Flu in Mexico. Heat sensors are being used in airports in China and Japan to attempt to detect fever in people entering the country in order to inhibit the outbreak. 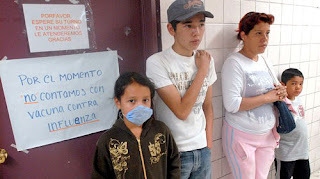 At least 2000 people came to the hospital in Mexico at the initial outbreak of the Swine Flu, and so far 150 have died. Laboratories are working all over the country in an attempt to find a vaccine to stop the Swine Flu. One of the main problems is that this flu is not affecting the expected population of the youngest and the oldest, but it is attacking the hardiest of individuals in the 20-45 year old range. At least 8 states have now confirmed cases of Swine Flu. St Francis Prep in Queens, NY had gone to Cancun and brought back the virus with them where it then spread to the school population and infected 28 students. In Newberry, SC, a school has been put on high alert because students who had been on a trip to Mexico came back carrying the deadly virus. The most disturbing aspect of the most recent news is that some cases in Kansas and Texas seem isolated in that they have not traveled outside the United States. 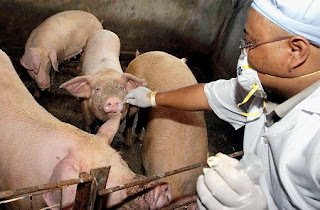 Why should we fear Swine Flu? It is different than the influenza virus because of the mosaic effect. This virus is a combination of the Avian flu, the Swine flu and human influenza virus. No-one knows exactly why the H1N1 has killed so many people in Mexico but not here in the United States. The World Health Organization continues to raise the threat level even though there have been no fatalities here in the United States. Right now, the concern is that this does not lead to a pandemic. 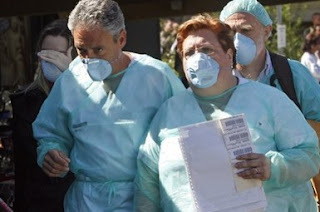 The Centers for Disease Control does recommend that those people who have been infected with the Swine Flu, H1N1 should wear masks, whereas they have not yet dictated that those in the general population purchase or wear surgical masks. The World Health Organization recommends that those who have visited Mexico and have flu symptoms visit their health care providers to receive the necessary treatment, including antiviral drugs such as Tamiflu or Relenza if necessary. All others, just stay aware, and take normal precautions to avoid flu infection. Is the Swine Flu Becoming a Pandemic? The World Health Organization (WHO) has raised its threat level to 4, which means that it can no longer be contained. Cases have been reported around the world, including Europe. Flights are still coming in from Mexico, although travelers are being checked for signs of flu upon arrival. People are being discouraged, however, from traveling to Mexico. If the Swine Flu does develop into a Pandemic we are not prepared. Hospitals do not have enough respirators and other much needed equipment, and health facilities are likely to be overwhelmed with new cases. This new virus has never been seen, and there is no-one with immunity, so the likelihood of it becoming widespread is high. Currently Tamiflu and Relenza are working against this strain of flu, so that is encouraging, but if an large amount of people contract the virus, there may not be enough to go around. Stay away from hospitals unless you develop a high fever of 101 degrees or more. You may help spread the disease and contribute to overwhelmed hospital staff otherwise. Educate your children about the virus. Above all, do not panic. Be sure to keep on top of the most recent updates in your own area and what you might need to do in order to avoid infection. Are all surgical masks built the same? Not according to CNN and the CDC. Apparently the N95 filter mask pictured above are the best medical masks to purchase for protection against the Swine Flu virus. It works best because it is fitted and sealed aroung the nose and mouth. Some of the less expensive masks are flimsy and do not provide the protection necessary to prevent virus transmission. The Centers for Disease Control (CDC) provides information on different surgical masks and their website. CDC Surgical Masks. You can purchase surgical masks these masks at a variety shopping outlets for around $25 and up. Latest updates on Swine Flu have 40 confirmed cases in the Unite States. As of this writing, none of these cases have lead to any fatalities In Mexico there have been 1600 illnesses suspected to be swine flu and 130 or more deaths (less than 30 deaths are confirmed swine flu. 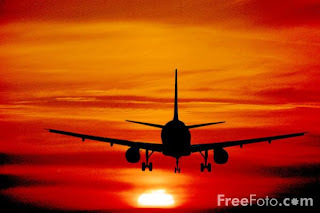 The United States government is recommending that people who are traveling outside of the U.S. take precautionary measures to avoid contracting the Swine Flu including increased hand washing, decreased proximity to people and avoiding large crowds. Schools have closed in selected areas in New York, California and Texas due to the Swine Flu outbreak. At least 8 students became sick in a small Catholic school in New York, and there are dozens more suspected cases of the illness. The schools in these states have closed for precautionary measures for at least the first half of next week in order to perform cleanup on site to prevent further infection from the flu virus. 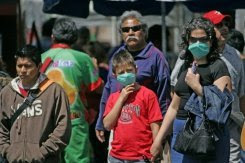 The death toll from the Swine Flu in Mexico as of April 27th stands at 103 and rising. At least 1600 people have fallen ill with the virus. The thing that is perplexing to officials at this point is why a more severe form of the virus seems to have befallen the residents of Mexico, while less severe strains have spread outside into the bordering states. Mexico is on virtual lock down. Restaurants, schools, bars and other public facilities have been closed until further notice from Mexican officials. The residents of Mexico are wearing surgical masks in the hopes of preventing further infection. Presently it has been shown that the antiviral drugs Tamiflu and Relenza are effective in helping inhibit viral growth if delivered within the first 48 hours or less of infection. If you get symptoms associated with the Swine Flu, call your doctor or emergency facility to find out the availability of these products. Google has a great new way to follow what is going on with the Swine Flu, as well as all other flu outbreaks across the United States. You can choose to look at the country as a whole or just at your individual state. Here is the link to the Google Flu Trends Tool. It has a really cool interactive map and graph that will tell you your risk of infection and general flu trends by state. 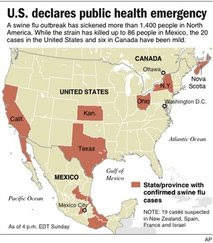 As of April 24, 2009, Swine Flu has been found in at least 7 states and Mexico. The Swine Flu cases in the United States have yet to be fatal. In New York City, there have been at least 8 infections, and the state of Texas has 2 confirmed as well. 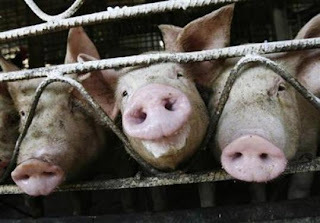 California and Kansas also have confirmed cases of Swine Flu. The Centers for Disease Control and World Health Organizations expect confirmed cases to rise, and the map will be updated as individual states confirm more cases of Swine Flu. The CDC is not recommending surgical face masks to date for residents of the United States, however the same measures that have been recommended for the avian flu, such as avian flu masks are recommended for the swine flu as well. 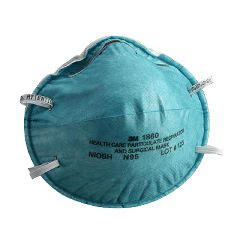 The N95 face mask is currently the best low cost effective surgical face mask available. Do Children Have Immunity to Swine Flu? 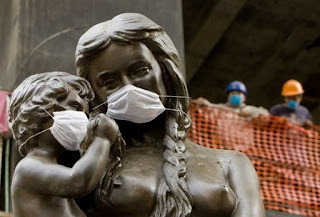 After a group of children came back from visiting Mexico, they tested positive for Swine Flu, however, they did not develop the deadly symptoms of the over 60 individuals who died in Mexico from the mosaic virus. Currently officials are investigating whether the difference in the mortality is because the strains are not identical or if children have some sort of immunity that adults do not. 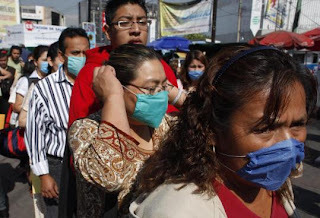 Check out this article, Flu Fear Shuts Down Mexico City, for more information. Although it is a scary prospect to think about contracting the Swine Flu virus, this is not the time to panic. It is most important to begin taking proactive measure in order to protect yourself and your family in the event this virus becomes an epidemic. There are some steps you can take to become better prepared for a viral epidemic. The Swine Flu is called a mosaic virus because it is made up of a combination of a variety of different viruses. The influenza virus is the most common human form, and the Avian flu virus is another part of the Swine Flu. Most of the most virulent viruses have been spread through animals and eventually to the human population. The Black Plague, for instance, started with rats. 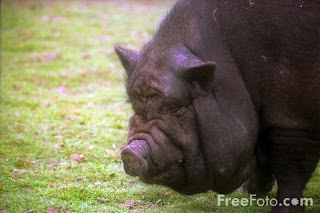 The Avian flu began with chickens, and the Swine flu has been linked to pigs. Even the Human Immunodeficiency virus that causes Acquired Immunodeficiency or AIDS has been traced back to monkeys. If you do happen to work around animals, take every precaution to remain safe when handling food products or other things that may cause cross contamination and lead to illness. Wash hands frequently, do not touch your face, and wash all products thoroughly that come into contact with food sources. The United States Government has just announced that as of now we are in emergency preparedness mode regarding the recent outbreak of the Swine Flu epidemic. Procedures that have been put into place help open the door for the Centers for Disease Control (CDC) and World Health Organization (WHO) to implement the use of antiviral medications to a wider population than before. Call your healthcare provider about medications such as Tamiflu or Relenza if you feel you might have the infection.